There are a lot of polling companies out there and some tend to skew left and others right. 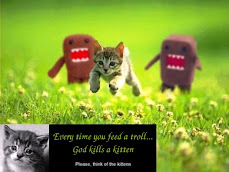 Given the new paradigm that says everyone IS entitled to their own facts, it only stands to reason that the two busiest polling companies in the business are PPP, a Democratic polling company, and Rasmussen Reports, which does not call itself a Republican polling company, even though Scott Rasmussen is the go-to guy for spin on polling numbers on Fox News, which does not call itself the propaganda arm of the Republican Party, though that is the conventional wisdom. As of this Saturday, looking at the polls I'm using to produce the Confidence of Victory numbers I report every Sunday, PPP is the somewhat busier bee of the two. There are some states with very little polling data, so I use the most recent poll, ignoring polls that were many weeks old when the new data came out. PPP is the poll of record in six of these states, while Rasmussen is the poll of record in four of these states. There are also states where there has been so much polling I use the median poll as the poll of record. A poll can either be the leftmost, the median or the rightmost in these cases. So as we might expect, Rasmussen polling methods lean towards the conservative side and PPP leans to the liberal side. PPP is in the middle about 20%, while Rasmussen only hits the middle 10% of the time. PPP is not one of the companies that produces a daily tracking poll and I commend them for it. The popular vote doesn't decide the presidency, as anyone whose memory can stretch back twelve years will recall. 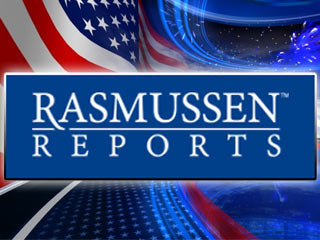 Rasmussen, Gallup and Ipsos do the daily tracking, and Rasmussen is often the odd poll out to the right. Besides the waste of energy of producing daily tracking, Rasmussen has decided on a policy of not calling people with cell phones, which means they miss the growing part of the population without landlines. All of this is commentary way too early to tell what will happen. The pudding gets proved in November and if we use the rules of polling, the polls today only give us a snapshot of the situation now. I will do a post-mortem after election day, but I will only pass judgment on the polls produced within a week or so of election day.